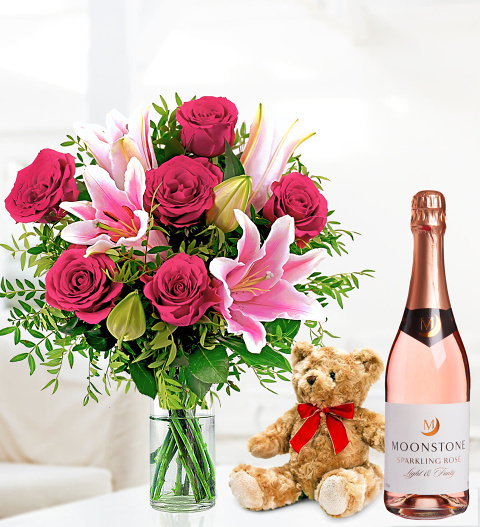 As the delightfully sweet smell of these flowers fill her senses, the bottle of sparkling Rose Moonstone 75cl will be a treat for her taste buds. We have even added a gorgeous traditional bear that mum can hold on to and it will make her think of you ever time she sees it. Send this luxurious Mother&apos;s Day flower and gift bundle to spoil mum on this special day. Chocolates may contain nuts.